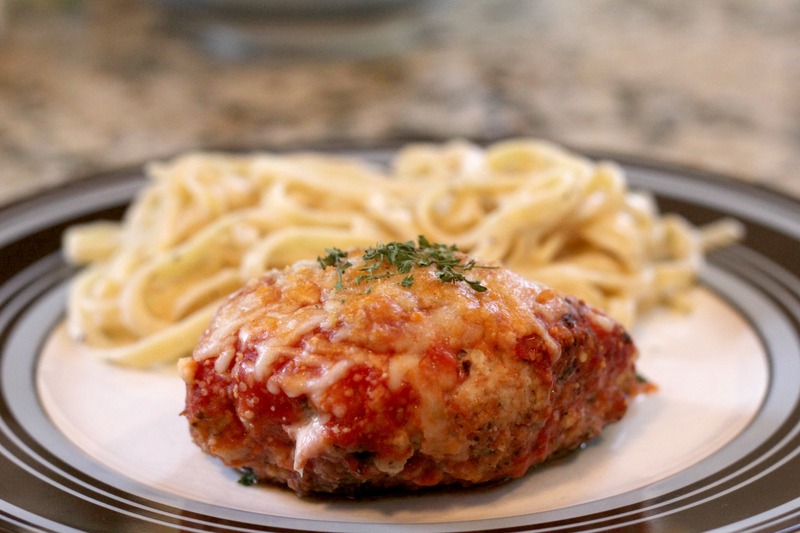 Chicken Parmesan is one of the most popular Italian dishes in America (and rightly so, in my opinion). It’s just so good! That perfectly seasoned, fried, crispy breading on the chicken, topped with ooey gooey cheese and yummy sauce…what’s not to love?! Well, I’ll tell you what’s not to love…the calories. With the fried chicken and all that cheese, it’s not looking good for your waistline. This recipe from Weight Watchers has made this classic dish much more healthy! And it’s fairly simple to make, too. If you’ve read very many posts on this blog, you know that I am in love with Italian food. This is the perfect dish for when I’m craving some classic Italian. Honestly you wouldn’t even be able to tell that this was low-fat if someone didn’t tell you. It’s that good. I also paired it with some fettucini pasta and light alfredo sauce. If you wanted to make the side dish even more diet-friendly, you could use whole wheat pasta. I didn’t because I think that stuff tastes like cardboard. But hey, if you don’t mind the whole what pasta well then you go right ahead and be healthier than me! Combine breadcrumbs & seasonings in a pan or shallow bowl and put the egg whites in a separate bowl. Dip chicken into egg whites then into breadcrumbs. Heat oil in a sprayed skillet and add chicken; brown until nearly done. 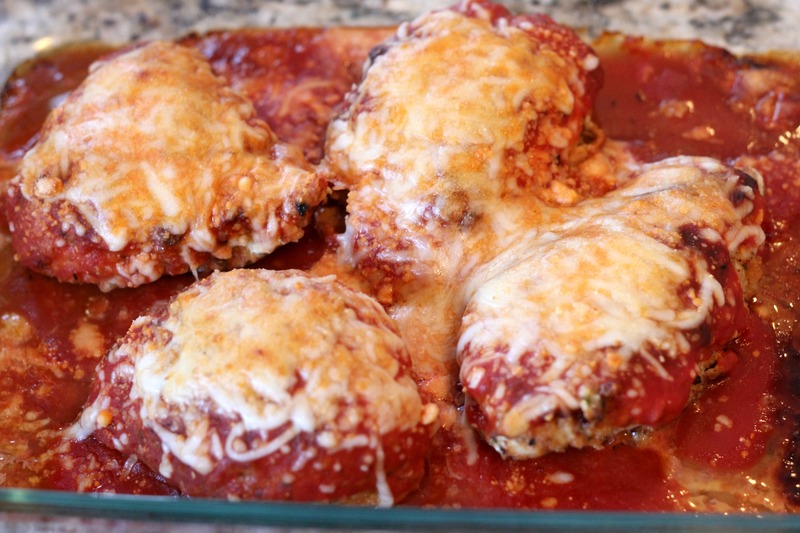 Place chicken in a sprayed baking dish; cover with tomato sauce. Sprinkle with cheeses. This looks wonderful! Most definitely on my list to make! Yay! I’m so glad your family enjoyed it. Thanks for visiting my site, and I hope you find many more recipes to try!